The United Bank for Africa Plc, on Monday commenced full banking operations in the Republic of Mali, extending its footprint and fulfilling the aspiration of deepening banking penetration in Africa, making it the 20th African countries where the group now operates, besides global operations in the United States, United Kingdom and France. 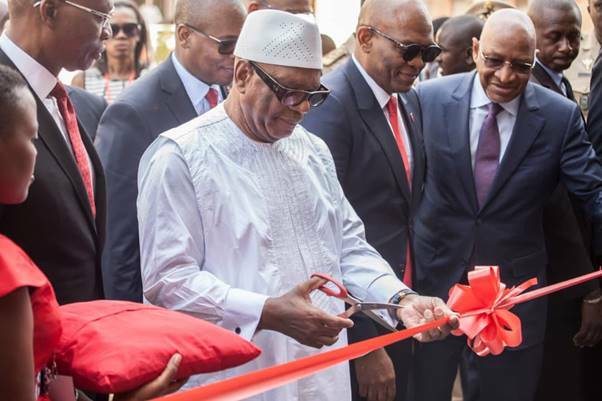 The bank’s latest addition in Mali was flagged off by the President, Ibrahim Aboubacar Keita, who noted at the opening ceremony: “Tony promised it and he did it,” referring to UBA Group’s Chairman, Tony Elumelu on his promise made several years ago to bring UBA to Mali. The Malian president praised UBA Group for the vision to expand the bank’s footprint to Mali, just as he commended the tenacity and commitment of its group chairman to the development of the continent. He urged Africa’s financial institutions to follow the developmental philosophy of UBA Group and its chairman in growing infrastructure, deepening financial inclusion and being catalysts for eradicating poverty in Africa. 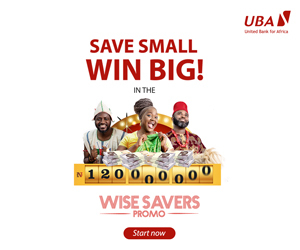 CEO, UBA Mali, Alhassane Sissoko told customers that the bank is optimistic on the competitiveness of its franchise in Mali with strong potentials for accelerated market share gain over the near to medium term. Also present at the occasion were the country’s Prime Minister, Soumeilou Boubeye Maiga; Mayor of Bamako, Adama Sangare; Minister of the Economy and Finance, Dr Boubou Cisse; Minister of Digital economy and Communications, Harouna Touré; among other dignitaries.